Nature's Best distributes a wide range of high quality, entertaining and interactive cat toys that activate your furry feline's natural instincts to play, hunt, scratch and swat. Whether you are looking for a cat toy to encourage interaction between you and your feline, or are looking for something that encourages their natural instincts to pounce and play while they're alone, Nature's Best has a cat toy that will suit their individual needs. Xtreme Catnip Spray is an incredibly potent, 100% natural and super concentrated natural catnip that entices cats and kittens into more enjoyable playtime. Simply spray catnip on your cat's toys or scratching pole for plenty of fun and enjoyment. 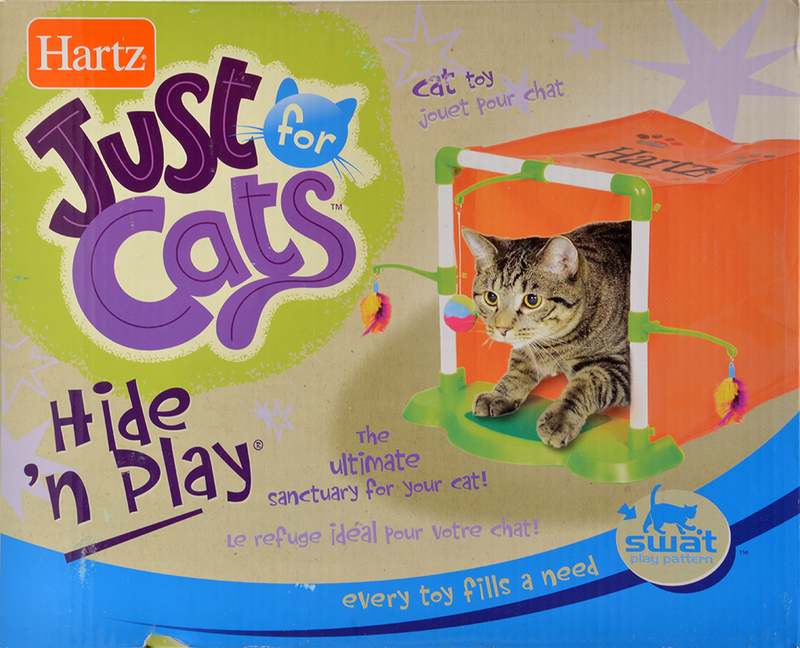 These Hartz Just For Cats cat toys will entertain, absorb, and satisfy your cat's need for stimulation. With strong focuses on encouraging playtime, swatting, sharing, hunting or scratching, these toys will have your cat entertained for hours, even when they're home alone. R2P Categories Cat Toys assist in understanding your cat's behaviours as they are innovative cat toys that target specific feline instincts. Whether you want to entice your cat to interact, scratch, chase or pounce, R2P has an extensive range for your furry feline to enjoy.